Preheat the oven to 350 degrees F and lightly grease a 9 inch spring-form pan. Cut off the peels from each orange and discard these pieces, and then cut the rest of the oranges (flesh and skin) into chunks. Sift together the flour, baking powder and soda and salt in a large bowl. In a heavy stockpot, heat the olive oil and then cook the onions, carrots, garlic, and celery until tender, about 15 minutes. Add the chickpeas, chicken stock, diced tomatoes and oregano and bring to a boil. Reduce the heat to low and cook for and additional 30 minutes. 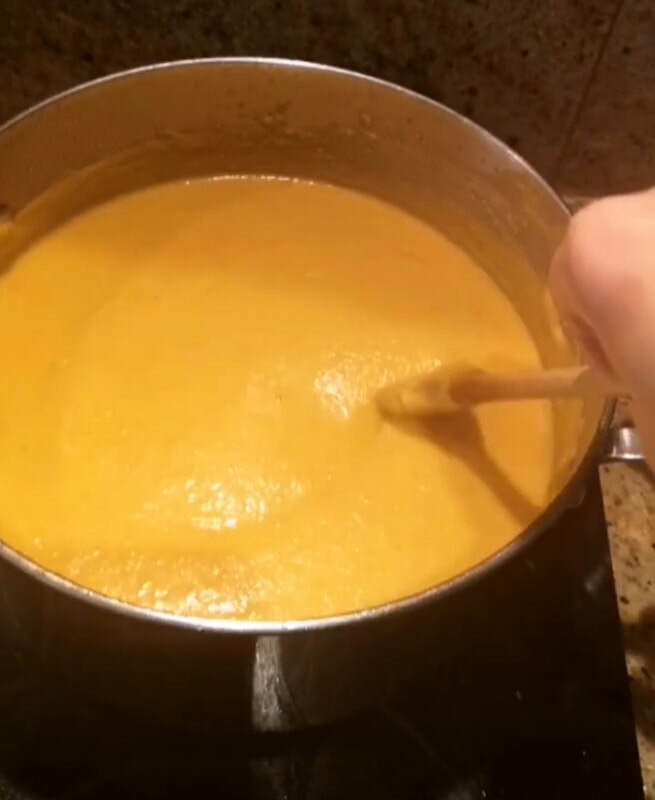 Use a hand blender and puree about half the soup in the pot leaving half for texture. Add the finely chopped parsley and stir to combine. Serve the soup with a drizzle of extra virgin olive oil and a sprinkling of cracked black pepper. Place the chopped cauliflower, carrots and garlic in a roasting pan. Season with salt and drizzle and toss with olive oil. Place in the oven and cook for 30 min or until golden and tender when pierced with a fork. Heat the olive oil in a large stock pot set over medium heat. Add the onion and cook until caramelized, about 3 min. Add the diced apple and cook until slightly softened and fragrant, about 10 minutes. Add the carrots, cauliflower florets and roasted garlic to the pot and cook together for another 5 minutes. Add the broth and bring to a simmer. Cook for an additional 20 minutes. 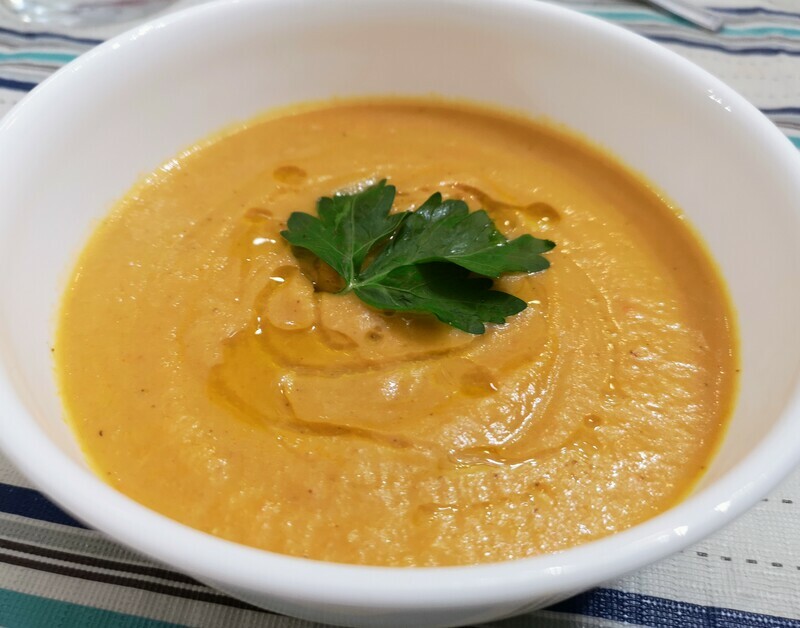 Reduce to a fine puree with the help of a stick blender or ladle the soup into a blender; process until smooth and creamy and return to stock pot. Add the Parmigiano and stir well. Pre-heat oven to 350 F. Grease a 9-inch springform cake pan. Wisk the oil, eggs, sugar, zest and vanilla together in a large bowl. In a separate bowl, sift the flour, baking powder, baking soda, cinnamon, and salt. Add the peaches into the flour and coat. At the flour blend to the wet mixture and stir together until blended. Scape batter into the cake pan. 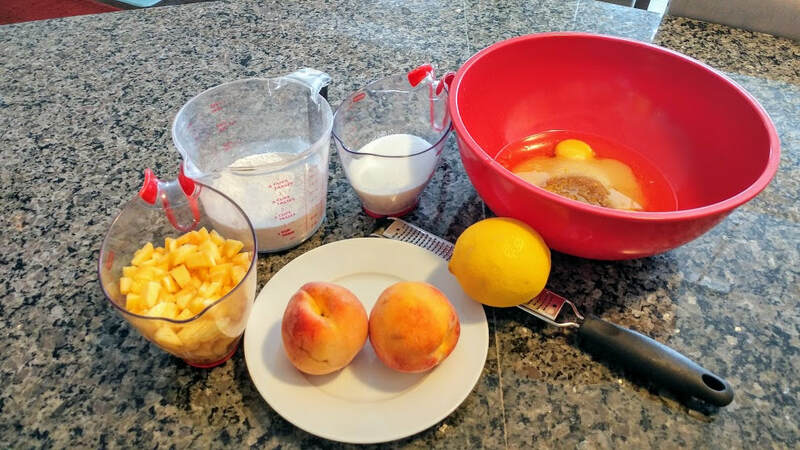 In a separate bowl combine the sliced peaches, brown sugar and lemon juice. 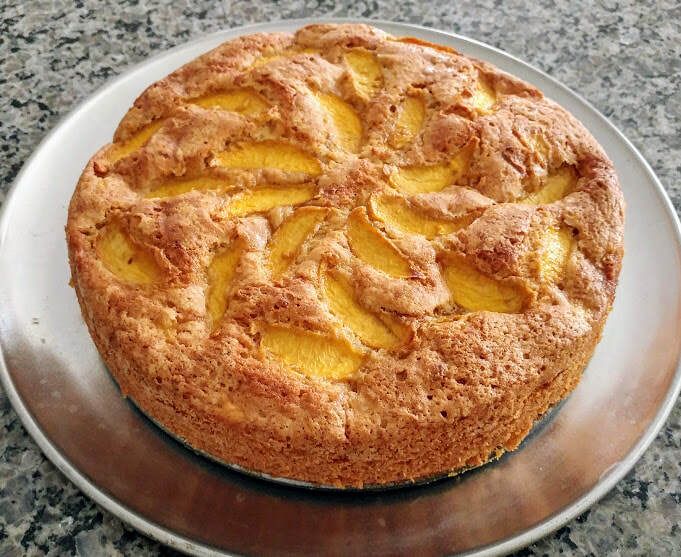 Places the peach slices decoratively on top of the cake batter. 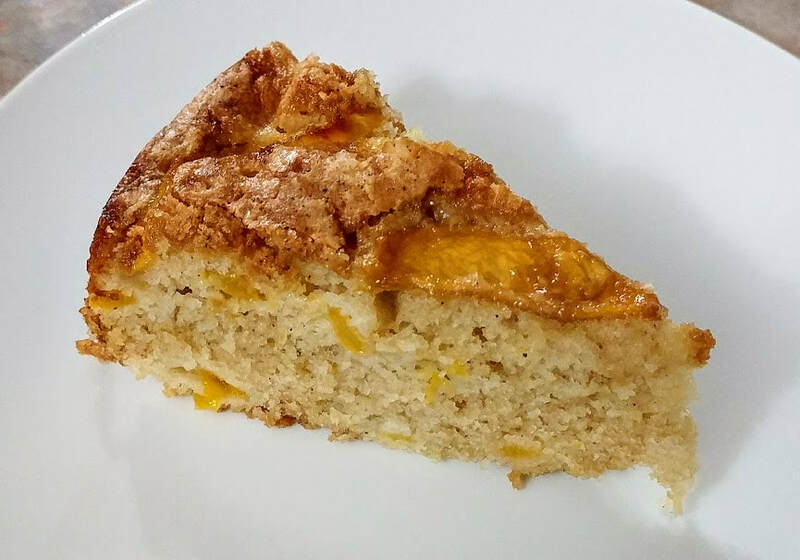 Bake for 50 – 60 minutes, until a tester comes out clean. Let cool before removing cake from the pan. I grew up in Vaughan and for as long as I can remember I always recalled seeing a small, unassuming restaurant at Islington and Hwy 7. For years I had told myself that I needed to go eat there. I figured that they must be doing something right to stay open for over 25 years. About a year ago, I was invited for lunch at this long-standing Woodbridge establishment and needless to say, it is now one of my favorite restaurants to frequent in Vaughan. ​I consider myself a foodie. I am not stuck on a particular type of food or cuisine, however, I have been very picky over the years on freshness, quality, creativity and the service I receive during a visit to a restaurant. 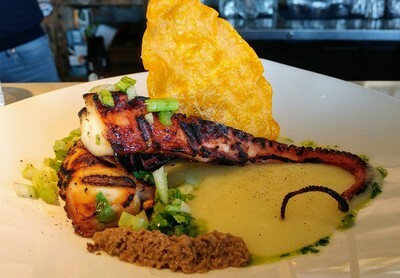 It is for these reasons that Cavallino Wine Bar has become of my favorite restaurants. That being said, this was not always the case with this restaurant. 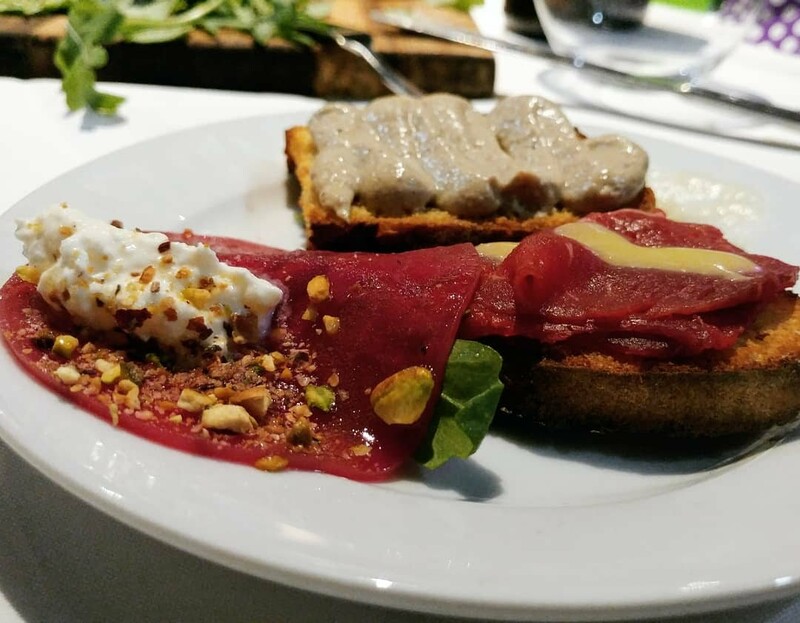 It had become known as old school and uninspiring and with all the new and inventive restaurants popping up in the Vaughan area, Cavallino was slowly forgotten. This is not the case anymore. 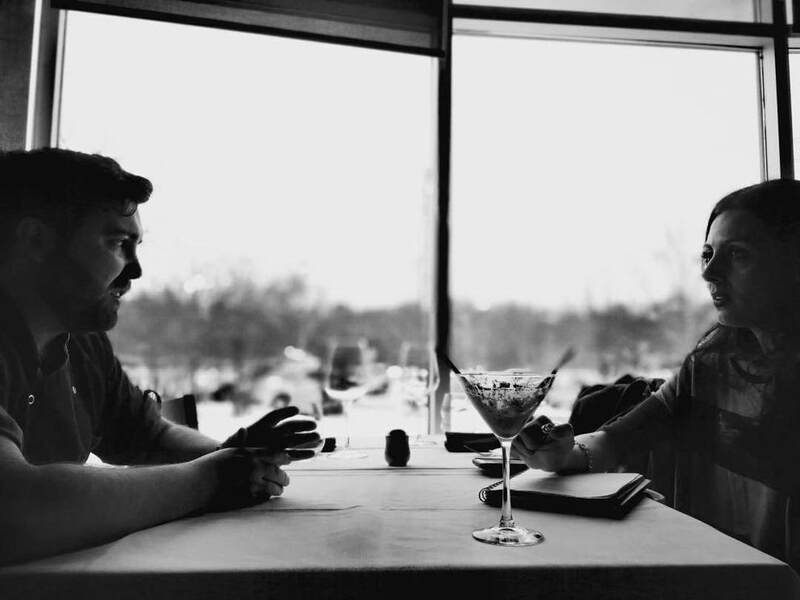 About 5 years ago, Cavallino gained new owners, a new chef and a new outlook on life. Today this small, rustic Italian restaurant is serving up a fresh and creative menu of authentic Italian cuisine. 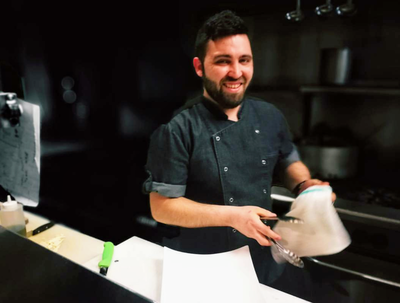 ​Executive Chef Emiliano, is from Priverno, Lazio and comes with a wealth of culinary knowledge from his formal culinary training and his travels throughout Europe. He created a new classic menu, accompanied by a rotating seasonal menu; all inspired by his travels, experiences and of course his Nonna. For Chef Emiliano, his food is a canvas and he is the artist assembling them into a masterpiece of flavours and textures to tickle any palette. 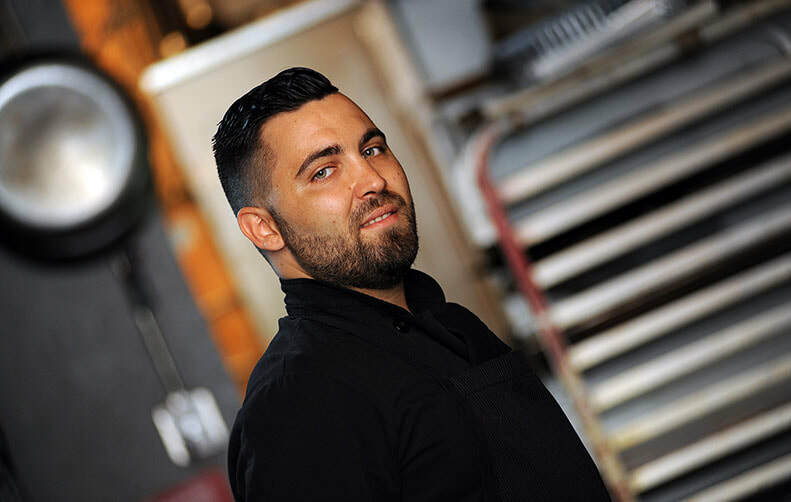 Chef Emiliano and his team pride themselves on making everything from scratch, including fresh pasta, bread, various spreads and desserts. 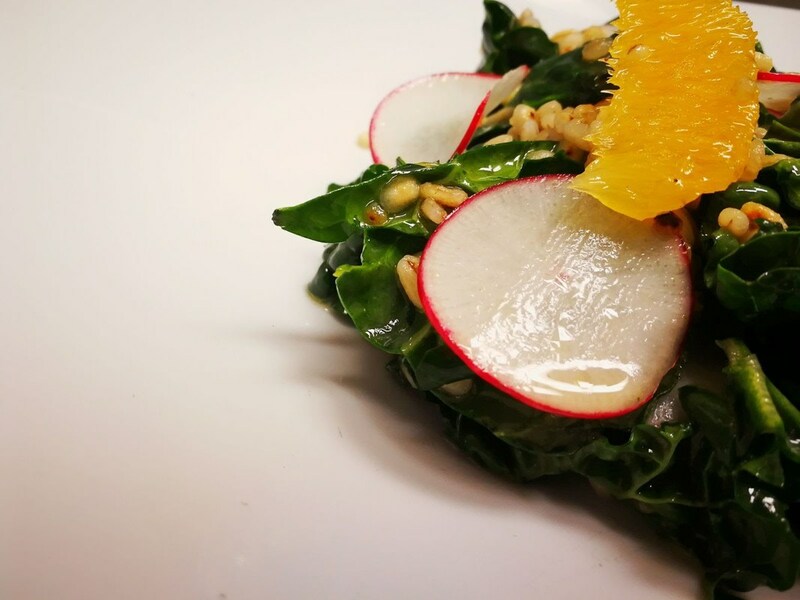 Taste the difference of what it means to eat food that is fresh and homemade. As I walked into this new eatery, I was taken a back with its vintage yet cool and modern look; it’s something you would expect to see on trendy Queen West, not in Woodbridge. The unassuming look from the outside did not prepare me for what I was about to see… I was hooked; between the large sleek bar, black and white colour scheme to the statement wall of artists both past and past, it was all riveting to look at. I was greeted immediately by a beautiful young woman who introduced herself as Natasha, one of the owners; now I was even more intrigued. ​This family run business opened in January and took nearly a year to build. The whole space is custom, taking inspiration from the owners and their various ages that range from 30 – 60 years. 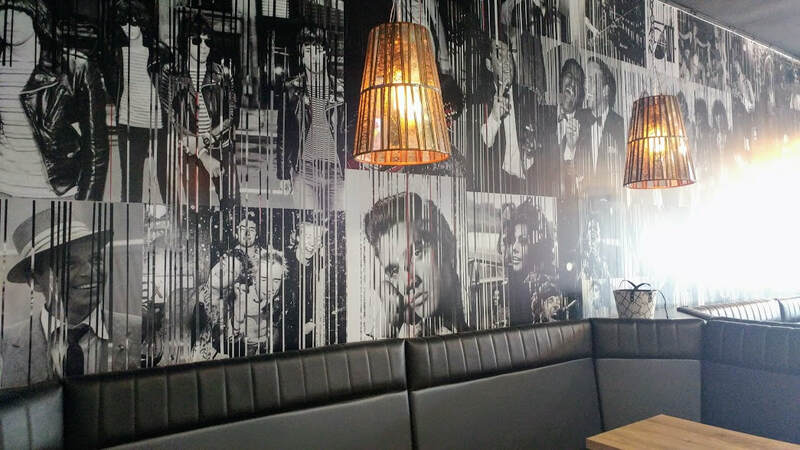 What makes this space unique is the car material upholstered booths and of course the incredible feature wall of inspirational celebrities. 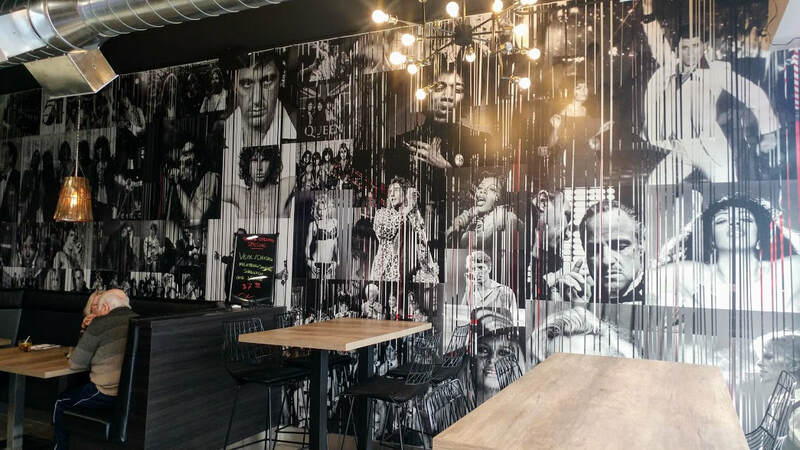 This custom wall was created using thin strips of wallpaper placed back together to recreate these beautiful images ranging from Sophia Loren to Elvis to Jim Morrison. ​I had the pleasure to sit down with owners Natasha and Filomena to discuss the inspiration for this eatery and these two lovely ladies welcomed me in like family, sharing with me their vision for the future. Right now this trendy and casual joint is the perfect mix of old school Italian café with a modern twist. The inviting atmosphere is great to enjoy with friends or with the whole family. 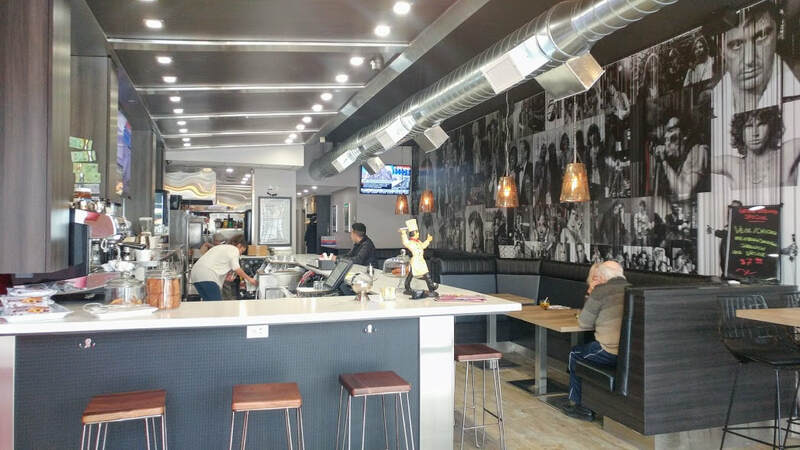 Relax at the bar with an espresso or sit in one of their comfy booths for a freshly cooked, homestyle meal. This sounds great; right? Well, according to Natasha, Revel has much more to offer in the near future. They plan to offer a late-night Italian-style tapas menu with live music or a DJ, bringing the place to life. They want to create a fun and unique vibe, different than anything else in Vaughan. As of now, they are open Monday to Friday from 7am – 6pm but stay patient because these exciting additions are happening soon and I can’t wait to check out this local laidback lounge when this launches. Not to worry, I am getting to the food; and how could I not talk about these delicious offerings. 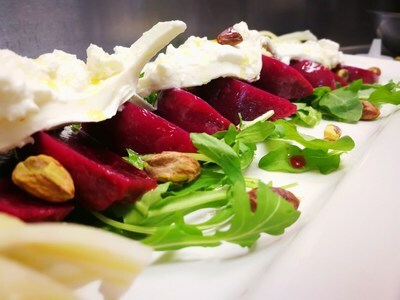 Everything is prepared fresh daily and everything is made from scratch including their desserts and biscotti. In an area where competition can be stiff, these owners know what is needed to stand apart. 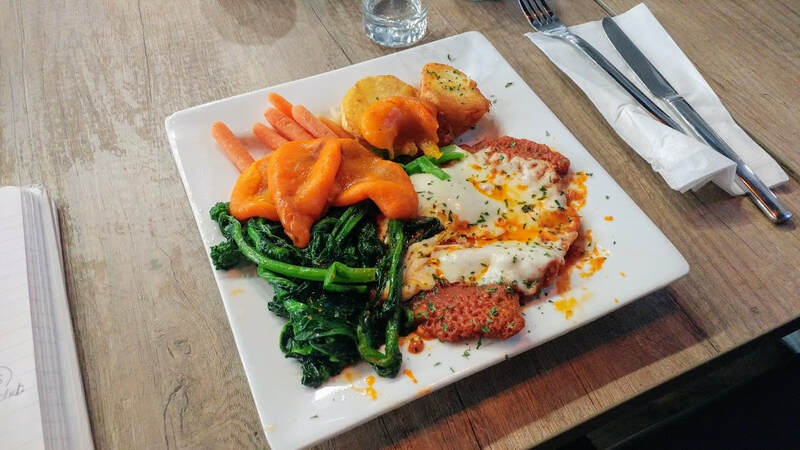 After hearing all their delectable meals and daily specials, I knew that I needed to try their veal cutlet with vegetables, rapini and potatoes. This dish did not disappoint. Tender and moist veal that was perfectly seasoned in a fresh tomato sauce; you can’t ask for more than that. I finished the meal with an espresso that they served with an almond biscotto; a great way to end lunch is with a smooth espresso with a nice foam and a crunchy cookie to appease my sweet tooth. 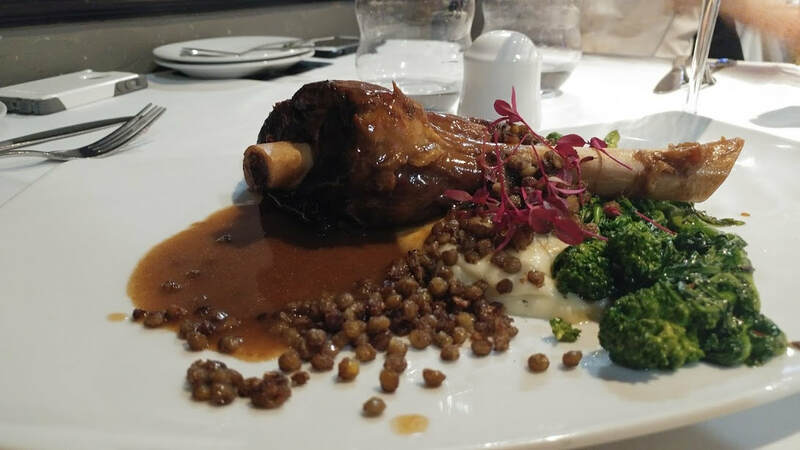 Between the trendy laidback atmosphere and the friendliness of the staff, I will definitely be returning soon to revel in everything they have to offer. Since starting my blog, I have been lucky enough to meet so many new and diverse people, both directly and indirectly involved in the Italian Canadian community. One of these people is the multi-talented Italian Comedian and Musician Enrico Rennella. I was intrigued by this funny man and I knew that I had to get the scoop on what makes his comedy stand apart from other Italian comedians. We met at a local café and I quickly learned that although he is an entertainer, that what you see, really is what you get. From his eccentric hairstyle, green stylish leather jacket and effervescent personality he expressed with the patrons and waitresses, to his story-telling, Neapolitan accent, and sense of humour, it all draws you right into his world. So, who influenced this funny man? Well, according to Enrico, no one. Although he enjoys the comedy of Fiorello, Enrico prides himself on being his authentic self on stage and not like anyone else; “I want to be like me”. That is why he integrates his second love, music, into his performances; “I use music to make my comedy better”. After years of incorporating other people’s songs, he decided to pursue another desire and he has started creating his own music. But with a successful comedy career, why branch off? Well, for Enrico that is simple; music is passion “you can say something in music that you can’t say when you speak”. Enrico is now working with a well-known Neapolitan producer and is in the process of recording his first solo album with an expected release date in June 2018. Today Enrico resides in Toronto, performing throughout Canada, the United States, the United Kingdom and parts of Europe. Interested in checking out his comedy? I hope so, because his next Canadian performance is a charity show on March 16 at the City Playhouse Theatre in Thornhill. Partial proceeds from this event go to Shining Through Center in support of Smiles for Autism. What’s next for this already accomplished performer? With a new album and the successful show, I’m Not Just an Italian, wrapping up, we are all excited to see what Enrico has in store for us. I was lucky enough to get a sneak peak at his new show, The Italian Shades of Grey, opening in December 2018. This show will definitely be a change from his previous ones. His goal this time is to stretch the envelope and add some shock value to his comedy. A darker performance that is not to be missed! This big personality is also working on several other projects; so, don’t be surprised to see this multi-talented performer on the small screen too. Enrico’s comedic charisma and passion for life is infectious. It is not often that you meet such a genuine person. So maybe the stars were aligned for me too; getting to interview such an amazing talent, fellow foodie and singer and having him share his story was such a pleasure and an inspiration to never give up on your dreams. 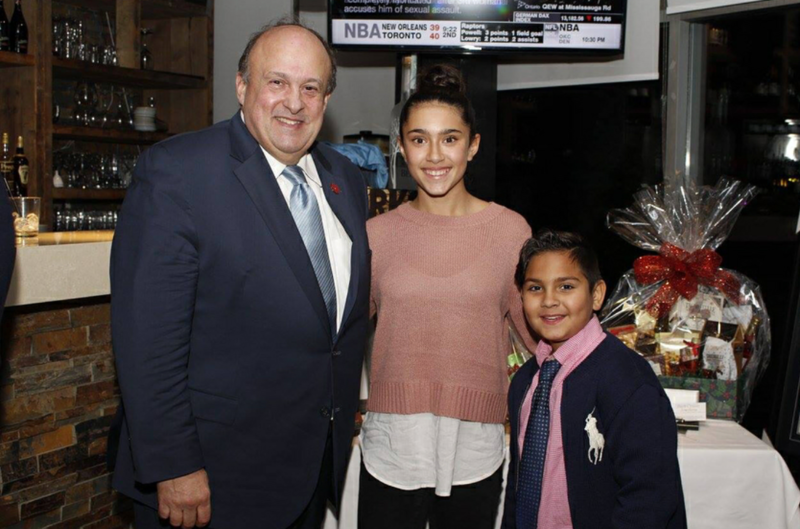 On November 9th, I attended a Caritas School of Life charity event for addiction and mental health at Cavallino Wine Bar host by the 9-year-old Matthew Newman and his 12-year-old co-host Sofia Esposito. It was a packed event filled with attendees that showed nothing but love and support for this local cause. The event welcomed some inspirational speakers from the program and also the legendary Toronto Maple Leaf goalie, Mike Palmateer who was available for pictures and autographs in support of Caritas. After the event, I had the opportunity to talk to Matthew about his involvement in this charity. His parents are strong believers in giving back and after discussing and researching several options, Matthew decided on a smaller more unknown organization that really needed attention. He was able to fully commit to his decision after meeting a 13-year-old boy by the name of Nick who suffered from a drug addiction and was in the process of successfully completing the program at Caritas. Meeting a young boy with such a serious addiction was an eye opener for Matthew who decided that he wanted to bring light to other youths that addiction can happen to anyone at any age. Matthew gets involved in Caritas through an annual CHIN Telethon, Gala and started his own event that is now in its second year. This year’s event raised a whopping $7,100 and he hopes to continue to grow this number to $10,000 next year. It was encouraging to see many young people in attendance, and I think that it is important to be open an honest with our children about addiction and mental health and take away the stigma associated with it. Matthew’s goal is to continue to spread awareness of Caritas through classroom reach-out initiatives and through a social media campaign that he will be launching. Thank you, Matthew and Sofia, for your commitment and support in this important initiative that is, Caritas School of Life. Addiction and mental illness has always been a growing concern that carries a strong stigma of shame and indignity. 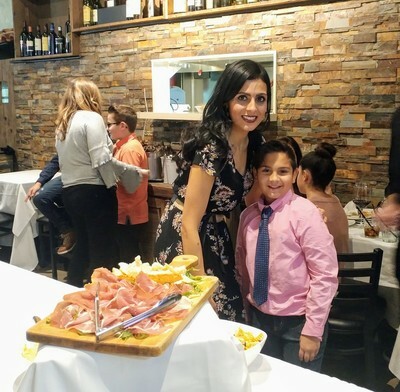 I recently learned about a 9 year boy, by the name of Matthew Newman and his 12 year old friend Sofia Esposito, organizing a local charity event in Vaughan to raise money and bring awareness to Caritas School of Life. 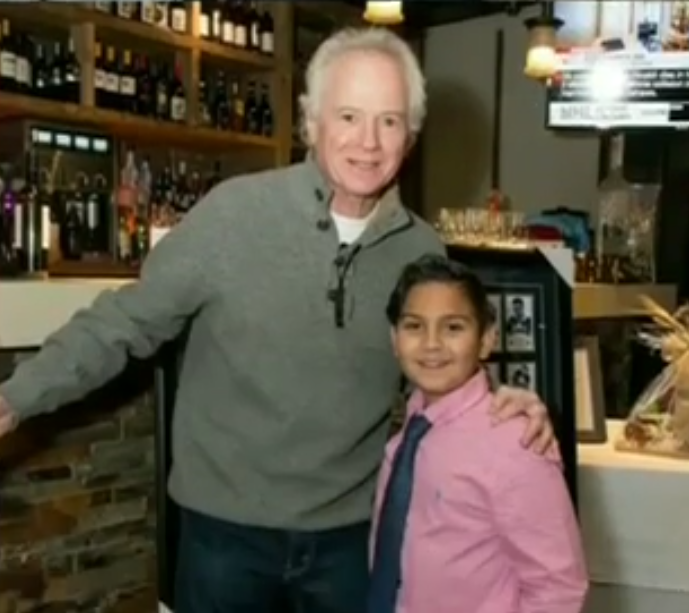 I didn’t know much of this community program, but the fact this this young boy had had been inspired to get involved inspired me to learn about what this school of life was all about. I had the opportunity to meet with Silvana Tibollo, the policy and outreach coordinator for the program, and I was overwhelmed by everything she had to say during our meeting. Caritas was established around 1980 by a Toronto Priest, Fr. Gianni Carparelli, who was approached by a distraught mother looking to get help for her drug addicted son. He began his mission by organizing support groups for concerned parents and researching different European methods to aid in this undertaking. He learned that much of Europe had adopted a “Therapeutic Community” approach and returned to his home in Italy to learn more about these programs. He began to model his program against these Therapeutic Community’s methodologies and today Caritas offers support groups, day programs and a 24 month in-patient program. Caritas stands for “an unlimited loving kindness to all others” and has been a Canadian registered charity since 1994. Caritas takes a holistic approach to healing individuals in this highly structured “Therapeutic Community” with a long-term care program at its core. As I listened more and more to the benefits of Caritas, I was intrigues by the fact that they believe that addiction is not a medical condition and that it can be treated through an acquired way of life. They offer a voluntary program, and no one is held there against their will; you have to want to commit and want to be helped. They assist in finding the underlying issues that prompt the poor choices that lead to substance abuse by addressing the human life as a whole, through bio-medical, social, psychological and spiritual needs. This holistic and spiritual approach is awe inspiring and with an 82% success rate I understand why they do what they do. Their residential program currently has 30 beds filled with people constantly trying to be a part of this program daily, the unfortunate part of it all, considering their success rate, is the fact that Caritas only gets $350,000 in government funding when they need nearly 1.2 Million to run their programs. They rely heavily on donations and fundraising events such as the local event being hosted by these two inspiring young people Matthew and Sofia on November 9th at 7pm at Cavallino War Bar in Woodbridge. The thing that is even more moving is that Caritas puts back 92 cents on every dollar received back into their programs; no big budget spending on outside resources, just a core commitment to help their residents get clean, understand mental illness and be able to cope and live on the outside without relapsing. Tickets are still available for this fabulous fundraising event. I hope to see you there! 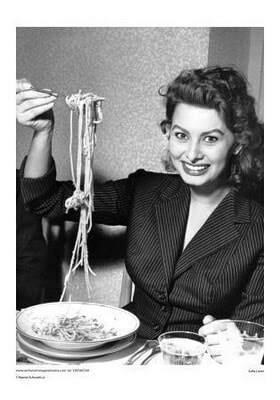 A famous quote by Sofia Loren has her saying that “Everything you see, I owe to spaghetti”. It’s no secret that Italians like their carbs; bread, pasta and pizza are regular food items on the table at meal times…so the question remains; how do Italians stay thin, healthy, and beautiful like the iconic Sofia Loren or Monica Bellucci. I was born in Canada and grew up in a traditional Calabrese household. The cultural traditions that my parents grew up with were imparted on my brother and I and the notion of dieting never came into the picture. In fact, food always played a major role in our family; it was the thing that brought us together around the dinner table. I questioned our carb heavy, always eating diet and struggled with that “ideal” body image and what I should eat verses what I wanted to eat. As I grew up and developed more self confidence in myself I learned the importance of balance and portion control and this kept my weight in check and me “happy” …but something was still missing. Although, I grew up eating traditional, home cooked Italian meals, the way we live and eat in North America is very different than in Italy. So how do these beautiful Italian men and women stay so svelte and confident; it can’t be just in their genes or the air they breathe. I travelled to Italy in my mid 20s and it was at this time that the Mediterranean diet all made sense to me. 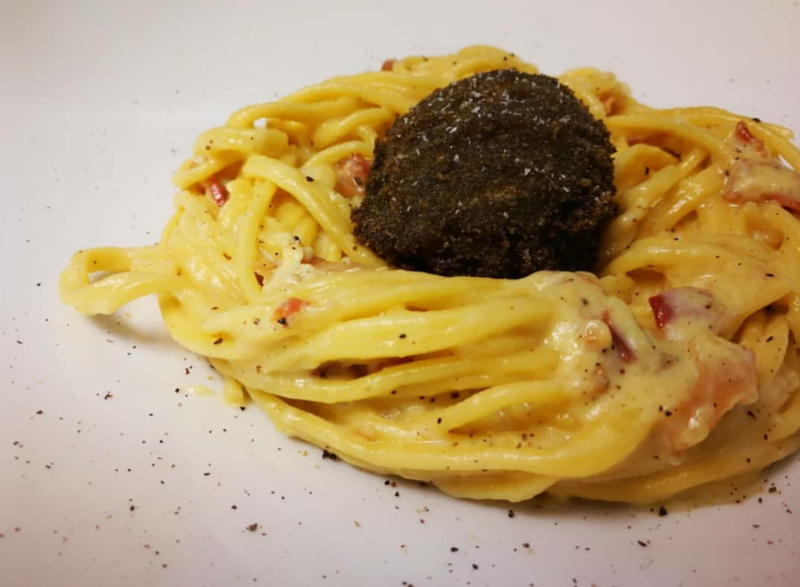 As I began to eat my way through Italy and immerse myself in the simple Italian life, the piece that I had been missing all became clear to me. I began my journey in Florence with the goal of living “la bella vita” and eating as the locals do. By the end of my journey, I came to realize that to Italians, food is more than just what they eat, but also when and how much of it they eat. I have decided to break this all down in several categories. Fast, processed food is almost non-existent in Italy and can only be found in more touristy areas. You won’t find frozen prepared foods or prepackaged meals. Everything used for cooking is with fresh, organic, whole ingredients. The food eaten in Italy, is real food, meant to be enjoyed and savoured. Although I did not grow up eating fast food or processed food very often, as I entered high school, university and starting working, these quick foods became more prevalent in my diet. We live in a fast-paced society and convenience is everything; but in Italy, this is not the case. Food is not viewed as fuel but as a pleasure. Packaged, canned and processed foods are packed with salt, sugar, fillers, and preservatives…. all things that cause you to gain weight. Instead of packaged seasonings they use fresh herbs and spices, instead of butter they use olive oil, instead of canned fruits and vegetables they eat only produce that is in season. Italians keep it simple and fresh. While I was in Italy, I couldn’t believe how flavorful and juicy the food was. Everything just tasted better and fresher. As I mentioned, Italians only eat what is in season and by doing this there are many more health benefits. When fruits and vegetables are picked after being naturally ripened on the vine or tree they are packed with more flavour and nutritional value such as higher anti-oxidants, vitamins, folates, and carotenes. Produce that has been stored for long periods of time, harvested early or out of season all have a reduction in Phyto-nutrient content. Also, since Italians either cultivate their own produce or buy their produce from local markets, they can be sure that they are organically grown without the use of dangerous pesticides and other contaminants. Eating seasonally and organic is just natural in Italy. One big cultural difference in Italy compared to Canada and the United States is the notion of a “siesta”. I had always heard of the Italian Siesta; when Italians closed their shops between 1pm -4pm to head home, cook lunch, eat and relax a little before heading back to work refreshed. I honestly thought this was more of a myth or something that was only carried out by the older generation….I was wrong. Although some shops and restaurants stay open the whole day (mostly in touristy areas) many more actually do close their doors. This was crazy to me…I am the type of person to usually work right through my lunch and eat at my desk and if I do get away it was usually to grab a quick coffee. However, as the days and weeks passed, I learned the importance of slowing down and enjoying my food, my life and the company I was with. What I also learned is that lunch is the heaviest meal of the day and not dinner. Italians will usually consume pasta for lunch but rarely for dinner. These extra carbs give them the fuel they need for the rest of the day. For dinner, they consume a much lighter meal of fish, poultry, beans, dairy, vegetables and occasionally red meat. Most dishes are prepared with an olive oil or tomato based sauce without the use of heavy cream sauces; this also aids in keeping meal lighter and easier to digest. As Italians, enjoy their biggest meal at lunch, breakfast for them is small and just enough to get them through the morning. During my stay in Florence, I stayed at a local B&B and was pleasantly surprised to see that the morning spread consisted of some fresh fruits, cornetti (Italian croissants), mini toast crackers, Nutella and sometimes hard-boiled eggs, cheese and prosciutto. Where was the omelets, pancakes, or waffles? Italians keep it simple for breakfast, and although this selection of foods isn’t exactly the healthiest, it is the quantity that is eaten that is important. 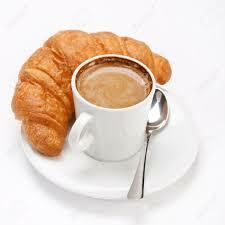 The average Italian will consume an espresso or cappuccino with a cornetto for breakfast. There is no such thing as a Grande cappuccino and in fact the average size is about 5-6 oz not 12 or 16 oz. Also, the average cornetto is about half the size of what we are used to seeing in North American. Breakfast is meant to give them a quickly pick me up in the morning…that’s it. I am first to admit that I have a sweet tooth and it’s no secret that Italians love their sweets also. With all their Gelateri and Pasticcieri, you would think that Italy is quite an unhealthy country, however, the major difference between their sweets and those found in North America is the sugar content and size. The sweets they eat or nowhere near the super sugary treats that we indulge in here, such as double stuffed oreos or packaged cakes stuffed with fudge and pre-made frosting overload with sugar. Italians prefer pastry like desserts, such as cream filled cakes or fruit desserts. Their gelato is also very different than our North American ice-cream. Not only are their portion sizes smaller but gelato has less fat than ice cream. It is made with more milk than cream and uses less eggs yolks if any compared to ice-cream that that has a fat content of at least 10 percent. 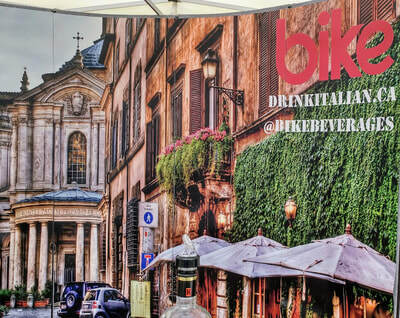 Italians indulge in a variety of beverages including sodas, coffee and alcohol. Again, one of the big differences is size and quantity of how much they consume. 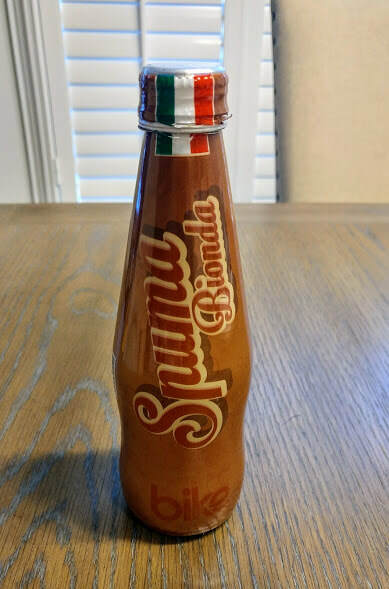 Sodas and juices are served no larger than 8 ounces compared to our 12 – 20 ounce cans and bottles. Cappuccino is commonly consumed in the morning is about half the size of what we are used to in North America. 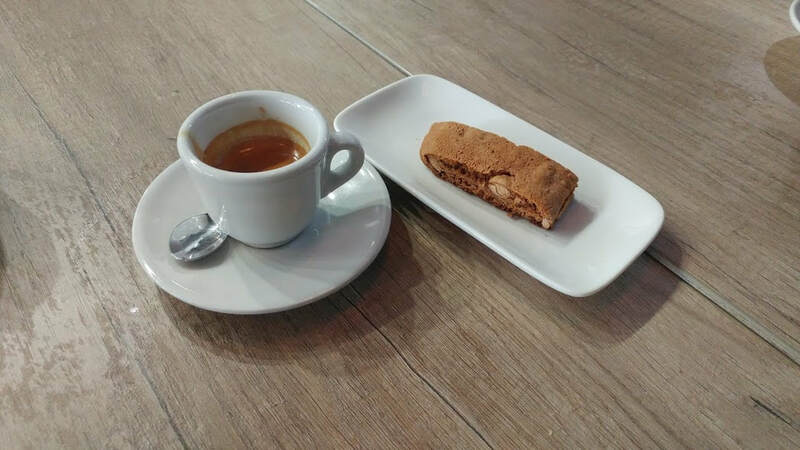 It is also an unwritten rule that you don’t drink cappuccinos after 11am so any coffee you have the rest of the day would be espresso either black or with a little sugar only; Grande coffee with cream, sugar and syrups are non-existent. In Italy, you will notice that there is no such thing as coffee creamer. When it come to alcohol, Italians consume much less than North Americans and drink more wine than beer, which has a much lower calorie content. Although, Italy is known for their wines, Italians don’t drink just to drink. The big cultural difference is that they are much more conservative with their alcohol and will usually drink to actually enjoy the alcohol they are consuming versus drinking with the intention to get drunk and indulging in beer after beer or shot after shot. 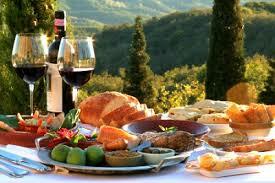 In fact, beyond a glass of wine a night, Italians mostly consume water with their meals. I have always been an active person, and going to the gym was just normal. 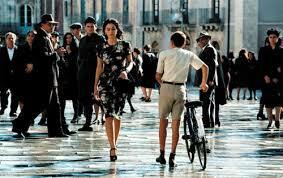 As I roamed the streets of Italy, I rarely saw gyms or people working out…so why does everyone look fit. The simple fact is that the average person walks or bikes everywhere. They are constantly active, even if it’s not in the conventional sense at the gym. Their fitness has more to do with their eating habits and cultural lifestyle. It is a common fact that Italians lead a less stressful life than we do in North America; stress leads to weight gain. Even their work schedules allow for a less stressful day as Italians have the ability to enjoy a leisurely lunch at home or with friends. They work to live not live to work. In review, it’s clear to see how Italy is rated healthiest country in the world according to a 2017 report by Bloomberg Global Health Index. Their Mediterranean diet is rich in fresh vegetables, olive oil, pasta, and fish. They stay active by biking and walking everywhere, they follow portion control, stay away from packaged foods and they don’t over indulge in high fat and sugary sweets and sodas. Balance and a more leisurely cultural lifestyle is key to their health success. So, I think it’s clear that Sofia Loren didn’t actually mean that she primary only eats pasta but rather that she eats within moderation as part of the Mediterranean diet and lifestyle she grew up with. Now we know her real secret. 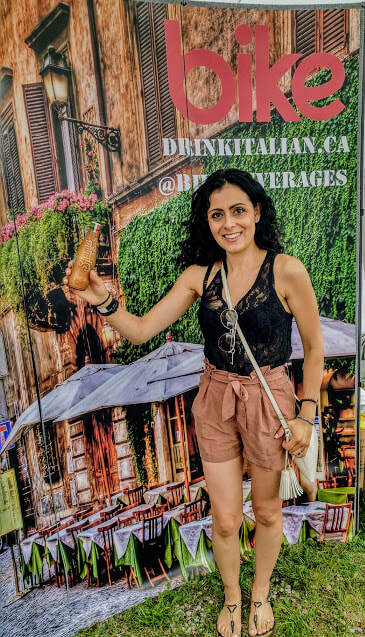 A first generation Italian Canadian with a love for food and the Italian Lifestyle.